Solasta’s debut album, “A Cure For The Curious” is a bold reimagining of Celtic sounds, and a meeting point between virtuosity and curiosity. 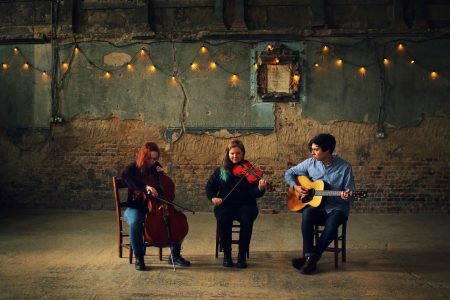 Firmly rooted in tradition, the trio draw upon elements of classical, jazz and early music in their evocative and exhilarating arrangements. Fiddle, cello and guitar blend together seamlessly, taking the listener on a spellbinding journey from raucous plate smashing at a Greek wedding to the songs of water sprites from the shores of Inishvickalline. We would be thrilled if you could join us to celebrate the release of the album, the end product of months of hard work!